Co0founder ThorCon International. Author "THORIUM: energy cheaper than coal". in 2015 Nuclear is for Life: A Cultural Revolution. These discuss the science and the reaction of the authorities, the public, and the media in medical, cultural and historical context. The following short summary was prepared for The UK House of Commons Select Committee on Science and Technology for their current Inquiry into “Science in Emergencies”. Life is naturally well protected against all but the very highest radiation exposures and evolutionary biology has ensured this so that life may survive. The low casualty record in all radiological and nuclear accidents confirms the effectiveness of this protection, as do laboratory experiments and the benefits of radiation as used in clinical medicine for over a century. 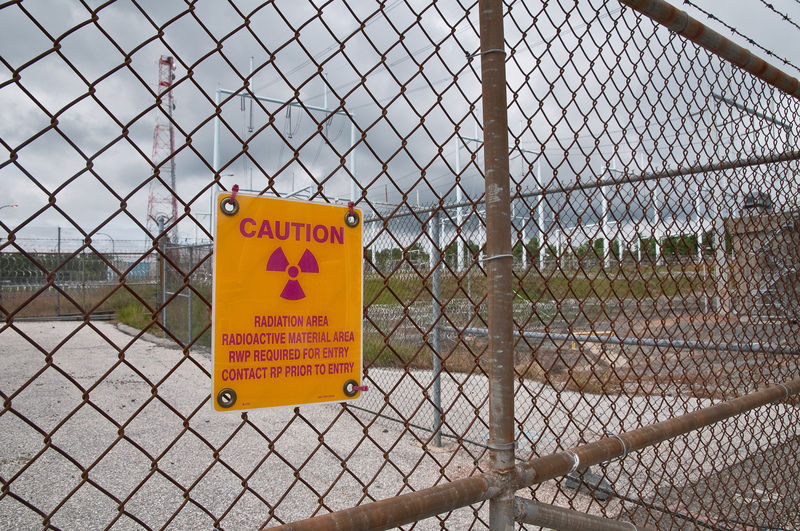 The commonly held view that radiation is exceptionally dangerous has been sustained by: a) residual memory of Cold War threats; b) unfamiliarity with the broad role of biology; c) a taste for the more exciting stories of accidents offered by the media; d) the guidance offered by a network of international safety committees that prefers caution to scientific evidence. This guidance has resulted in national regulations that specify that any exposure to radiation should be kept As Low As Reasonably Achievable (ALARA), for no scientific reason. While the radiation released in a radiological or nuclear accident has a small health effect, if any, the emergency procedures taken with international guidance themselves cause suffering, loss of life and severe socio-economic damage, sometimes on a global scale. Current policy that aims to appease public concern rather than educate people about radiation has caused plans for new nuclear plants to be strangled by unjustifiable regulatory hurdles and escalating costs, resulting in uncompetitive energy prices and increased carbon emissions. Bottom up, on radiation and nuclear energy we need a fresh programme of science-wide public education in schools and in the community as a whole via the media, omitting the ghoulish images used in the past. Local UK-based initiatives should contribute to worldwide re-education, for example through the BBC. Top down, on radiation safety we need a complete sea change in international guidance. This should be based on scientific understanding and evidence, not the unjustified precaution inherent in the ALARA/LNT philosophy.Initiatives for such a change should be pursued and supported by the UK more formally. Because radiation has always been part of the natural environment, life has evolved protection against attack by it. Biological experiments and a century of clinical experience with life-saving radiotherapy have confirmed the efficacy of this protection, even for quite high doses. As for accidents, only in a handful of instances have radiation dose rates been high enough for this natural protection to fail causing loss of life; the largest being 4 deaths at the radiological accident at Goiania (1987) and 43 deaths at the nuclear accident at Chernobyl (1986). Further, because radioactivity (and the radiation it emits) do not catch and spread in the way that fire and infectious diseases do, nuclear and radiological accidents have a rather low direct impact on life, in strong contrast to what is generally supposed. Two weeks after the accident I published an article on the BBC World Service, We should stop running away from radiation. It discussed why the response to the accident was scientifically and sociologically inappropriate. In December 2011 I made a written submission to the Commons Science and Technology Select Committee on the subject. Since the accident I have visited Japan four times, given public lectures there and discussed with doctors, social workers, community leaders, evacuees, school teachers and others involved on the ground. The real impact of such accidents is transmitted through public opinion and the media. The damage to health is essentially social and mental – it manifests itself as public panic and a loss of confidence in science and society. At Chernobyl and also at Fukushima those who were exposed to radiation felt themselves condemned as if by a curse, resulting in alcoholism, family breakup and attitudes of hopelessness. Few knew anything about radiation except for the historical link in the public consciousness between radiation and nuclear weapons including testing. During the period of the Cold War and Nuclear Arms Race fear of radiation was heightened for political and strategic reasons. However most people are surprised to learn that 99% of those killed at Hiroshima and Nagasaki died from the blast and fire and that only 1% died of cancer from the radiation explosion. Furthermore the medical records of the survivors families now available after fifty years confirm that there has been no detectable inherited effect from the radiation. The same is true for data from accidents and laboratory studies. In their situation for the past 70 years national and international public authorities have been anxious to appease public concern about any radiological accident, and they have adopted an exceptional precautionary safety policy. By legalising radiation exposures only at a very low level it was believed that the public that they would come to no harm. Such a cautious approach may be appropriate for a technology before it is fully understood or when practical experience of it is limited, but for radiation high levels have been in regular clinical use worldwide for over a century so that this policy is restrictive. Nevertheless regulations in all nations do treat radiation as if it were an extraordinary hazard and safe limits are set As Low As Reasonably Achievable (ALARA) – in practice this means a small addition to the radiation that would be received anyway from natural processes. Thanks to the protection provided by nature this guidance is overly conservative by a factor in the region of a thousand. Under this draconian safety regime it is supposed that accidents should not happen, although this does not reassure the public about nuclear safety, nor should it. There is no design of nuclear reactor that cannot be overwhelmed by nature and the public should be prepared for this unlikely event. Otherwise, when they see “the impossible” happening, they panic and loose all confidence in the authorities and in the ability of science to protect them – that is a fair description of the disaster that occurred at Fukushima in 2011. Recovery from such a loss of confidence is difficult. Unfortunately the nuclear authorities worldwide see their task in terms of engineering and management only, not radiobiology, teaching and psychology. Their natural reaction has therefore been to improve the physical safety of reactors even further. Unfortunately trying too hard to apply the wrong solution drives up costs without reason. This is the story of Hinkley C, perhaps, designed to be safe beyond the bounds of what is buildable, economic and necessary. To be effective safety policy should concentrate on education to explain and make dangers more familiar. For example, fire drills are held regularly in institutions to train everybody so that they know what to do in the event of a fire. In addition from an early age every child is taught the danger of fire and how it can easily spread. Although nuclear radiation is far safer than fire people still need to become familiar with it, to know how it is detected with a simple alarm and how to minimise personal exposure to it. Issuing instructions after an accident has occurred and the population is in a state of shock is too late. The public needs to understand beforehand so that individuals can take rapid and decisive action. This provides confidence at all times and informed response to an accident. What happened in March 2011 in Japan in response to the tsunami provides an example. The Japanese are taught about earthquakes and tsunamis at school and in public education. As a result they are prepared, and in the event 96% of those in the inundated region reached safety with only 30 minutes warning after the earthquake. The loss of 18,800 lives was seemingly understood and accepted, but the release of radioactivity from the damaged reactors at Fukushima Daiichi was not, even five years later. For this radiation there had been no public education and no proper plan. The result was widespread public shock even though there was no hospital admission due to the radiation itself – and the scientific evidence shows there will be no loss of life in the next fifty years. However the immediate loss of life caused by the inept and unnecessary evacuation has been put at 1600; wider social effects, from alcoholism to power shortages and increased reliance on carbon fuels, occurred as a result of the mutual loss of trust between the public and the authorities. None of this would have happened if there had been honest explanatory education about radiation, what it does to life (and what it does not), and discussion and familiarity with practice, as for earthquakes or fire. The authorities with responsibility for radiological accidents and radiation safety have pursued a policy based on ALARA dating back to the 1950s. Its rationale is a hypothesis called Linear No-Threshold (LNT) which basically says that any radiation exposure however slight is harmful. But this is not based on evidence. It is a pseudo-science like alchemy in earlier times. In that case the human emotion of avarice overrode the evidence encouraging the hope that base metals might be turned into gold. Here it is the human emotion of fear that makes the simplistic LNT attractive in spite of the contrary evidence. LNT contradicts the known principles of evolutionary biology and was discredited at length in a unanimous Joint Report published in 2005 by the Académie des Sciences and the Académie Nationale de Médecine, in Paris. The evidence in this report has been denied by the international safety committees who also have not faced up to the cost and suffering for which their guidance based on ALARA/LNT is responsible. There is widespread concern amongst those who understand at this departure from science-based knowledge. In the past couple of years an international ad hoc group of about 100 professional engineers, doctors, oncologists, biologists, physical scientists and others has joined forces to pursue this injustice in academic journals, internet media, professional societies, lectures, personal and political contacts in countries around the world. Of course it is very hard for any long-standing officially constituted international committee to execute a U-turn, but that is what is required and the policy of the UK should be to press for that. Nations that first wholeheartedly embrace this new perspective of the human relationship with radiation should enjoy an important competitive advantage in the years ahead through cheaper energy, cultural leadership and a cleaner and safer environment. The UK should be one of those nations. ISBN 978-0-956275646 www.nuclear4life.com in paperback and online editions. In this brief submission I use this accident as an example. The Goiania, Chernobyl and other accidents are covered elsewhere. The technology of a domestic smoke alarm could provide a cheap solution if built into a mobile phone. There is a superfluity of such bodies UNSCEAR, ICRP, NEA, IAEA, WHO, etc. and many national ones too (in US: NAS, NRC, NCRP, EPA with more in UK and Japan). Thanks Dr. Hargraves. We in the environmental movement have an urgent need to better understand the great harm (to human well-being and the environment) caused by ALARA, LNT, and radio-phobia. Stephen, the problem with the LNT video you’ve linked is that the producer makes no attempt to determine credibility of the data, nor to put the risks in context. Unfortunately, the field of radiation risk is full of junk science, published by fossil fuel funded and/or radio-phobic anti-nuclear activists, who simply lie about their alleged objectivity. The goal is to make the tiny risks from nuclear power seem more important than the large risks we face from fossil fuels (or renewables with fossil backup). The few credible studies on very-low dose radiation safety which exist always find no detectable effects at levels relevant for the general public’s exposure to nuclear power plants, and project that to have any chance of detecting anything (at the very low cancer rates predicted by LNT amid the very significant cancer rate due to other factors), the study would need to be much larger and more expensive. Typical studies by anti-nuclear activists take short cuts and claim to find effects the large studies didn’t, then go to anti-nuclear journals because mainstream journals won’t accept them. As is typical, your source looks at this body of junk science and uses the result to make a trend line. It looks really technical. Of course the result is still junk, which could not be published in a mainstream peer-reviewed journals, nor should it be a basis for policy. Also, your source implies that the National Academy of Science’s BEIR VII ( http://books.nap.edu/catalog/11340/health-risks-from-exposure-to-low-lev... ) report found data supporting LNT, and the resulting culture of anti-nuclear fear. In fact, BEIR VII explains that 82% of radiation received by Americans is from natural background radiation, and that living near a coal fired power plant causes 2 orders of magnitude more additional radiation exposure than living near a nuclear plant. Furthermore, BEIR VII clearly states that a given radiation dosage is much less harmful when spread out over time and location than when received all at once; which clearly conflicts with the LNT hypothesis. Again, anti-nuclearism always makes us less safe and increases harm to nature, by increasing our dependence on fossil fuel (which is proven to be much more dangerous than nuclear in nearly every study). The work since then, in particular via the stream of powerful evidence from Calabrese, seems to indicate the LNT dam is about to break. As for consensus base scientific bodies in general, The French Academy of Sciences, and the Health Physics Society, the American Nuclear Society no longer offer endorsements of LNT. I think BIER VII was playing politics in seeming to endorse LNT. In chapter 2, they give the following graph, with text explaining that the LNT model can be used for low dose rates by using a Dose Rate Effectiveness Factor (DREF) to model a lower slope below a certain threshold to help explain the lack of observed effects below said threshold. It is hard to understand why this would be called a Linear No-Threshold model (other than the political objective of supporting those who wish to claim there is no safe dose). Nathan, I wonder why you didn’t approach the producer of the video with your criticism. If you don’t mind, may I copy your out of hand critique of his video and the decades worth of published, peer reviewed medical science you call junk? Sponsors tout economic development potential, but critics question the benefits and risks to taxpayers. 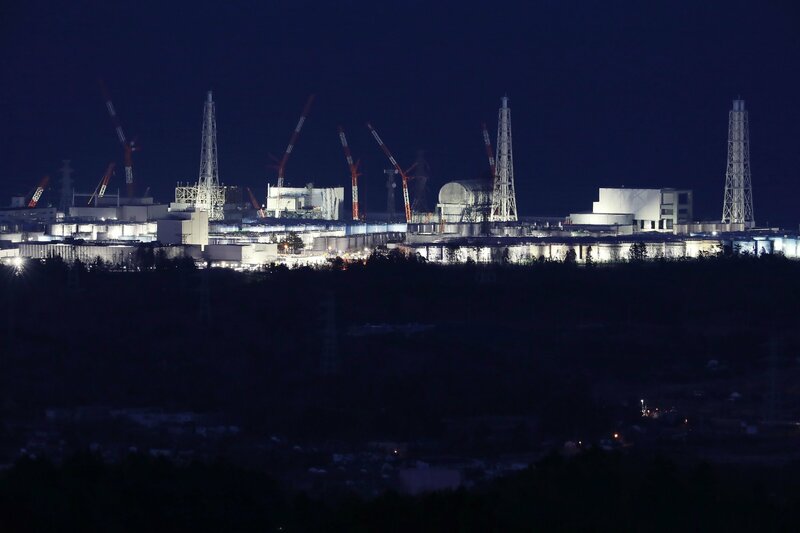 In 2018, Japan restarted five nuclear reactors that were shut down after the 2011 Fukushima accident. As those reactors return to full operation, the resulting increase in nuclear generation is likely to displace generation from fossil sources,..